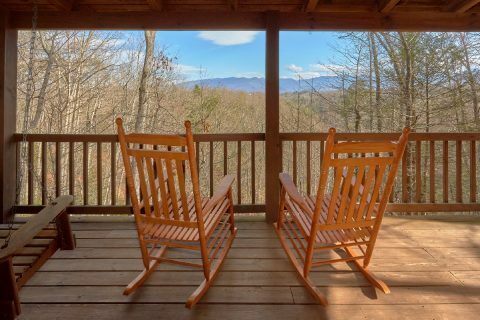 "Oakland #4," a private Gatlinburg vacation rental near Pigeon Forge, rests in the tranquil Glades Arts and Crafts Community. 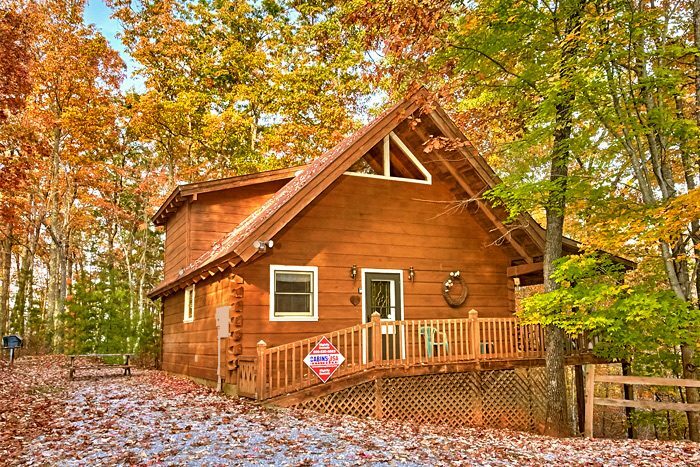 This charming 2-bedroom cabin offers guests easy back road access to nearby Pigeon Forge and lies on a 12-acre wooded setting with several trails and wonderful mountain views in the winter. 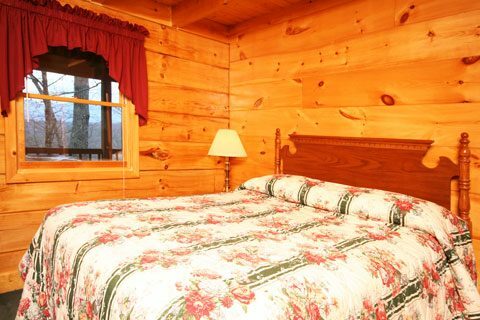 Your Smoky Mountains vacation rental has two bedrooms and accommodates up to 4 guests comfortably. The loft boasts a queen-size bedroom with private bath as well as a cozy private deck to view those spectacular mountain sunsets. 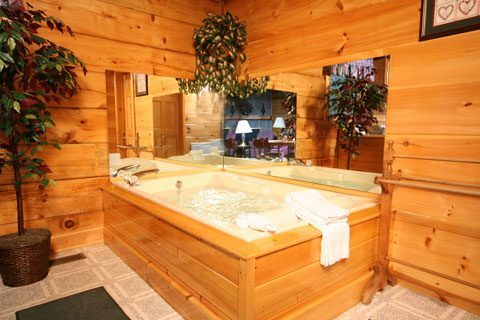 The main level's the second bedroom with queen bed lies right across the hall from another full bath and the cabin's jacuzzi tub. 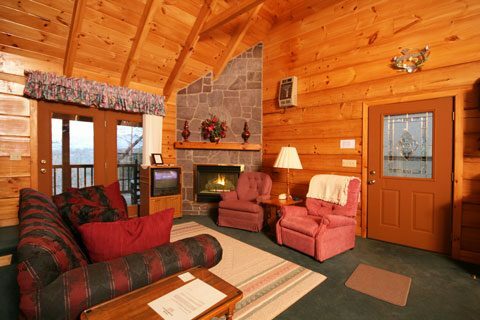 The welcoming living room boasts a seasonal gas log fireplace and a sleeper sofa for additional guests. 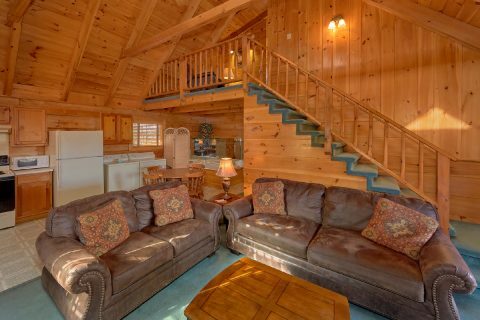 Wireless satellite Internet is available in this cabin rental for your convenience. 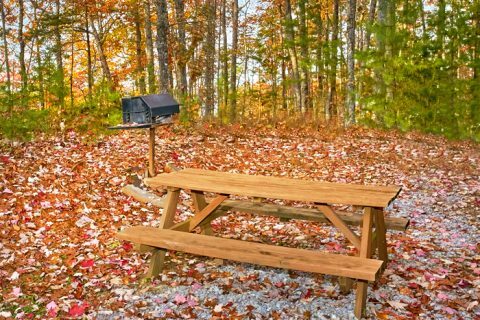 While many wonderful places to dine rest near your cabin, your Gatlinburg vacation rental near Pigeon Forge has a corner, dine-in, kitchen and barbecue grill for anytime snacks and meals in your relaxed mountain setting. 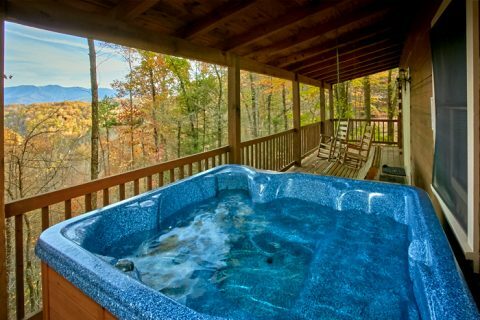 Later in the evening, enjoy relaxing moments in your family size hot tub or sit out in the mountain air on the porch swing and rockers. 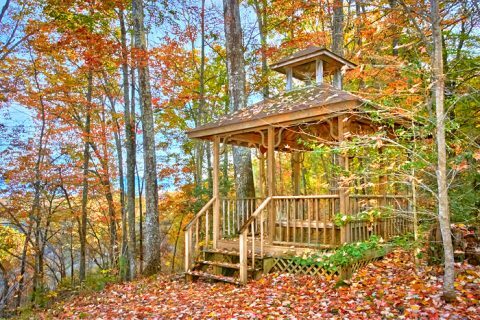 The romantic gazebo in the yard offers the perfect setting for outdoor cabin weddings. 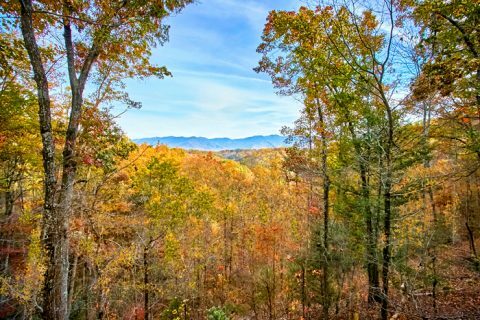 Oakland #4 provides an affordable Smoky Mountains vacation rental for small families and honeymoon couples who desire the seclusion of the Smoky Mountains while remaining relatively close to all the action-packed adventures Pigeon Forge and Gatlinburg have in store. 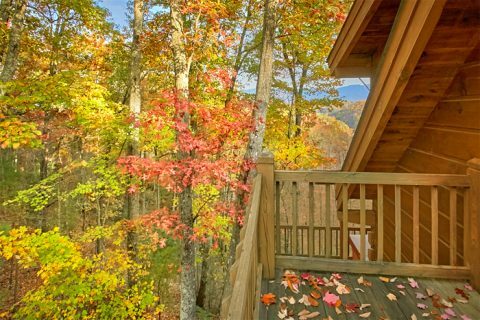 SAVE even more when you book your private Gatlinburg vacation rental near Pigeon Forge online with Cabins USA!